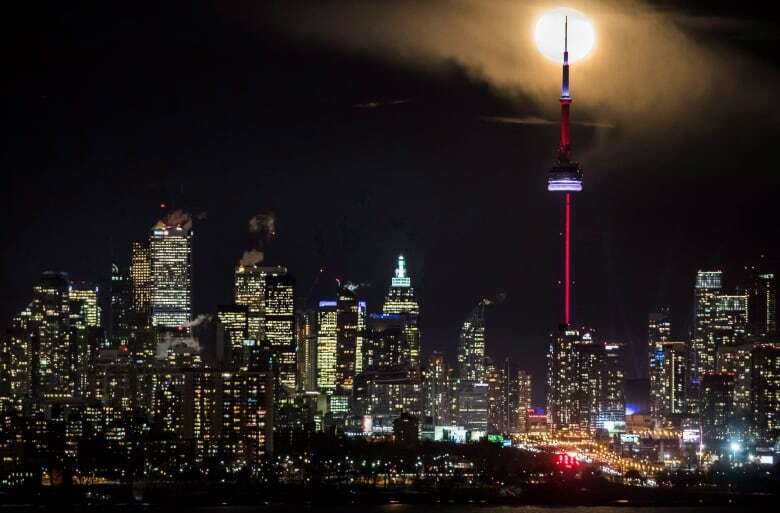 The three biggest metropolitan areas in the country — Toronto, Montreal and Vancouver — are now home to more than one-third of all Canadians with a combined population of 12.5 million, with almost one half living in Toronto and its suburban neighbours, new census data shows. Colin Basran is having growing pains. In some ways a victim of his own success, the mayor of Kelowna has been struggling in recent years to rein in his city as it slowly spreads across the B.C. interior, testing his ability to provide core municipal services and build badly needed infrastructure. 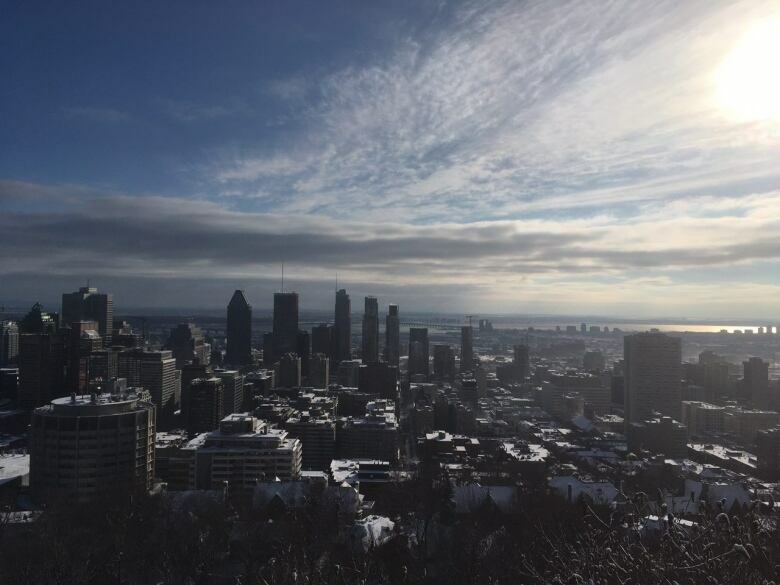 The three biggest metropolitan areas in the country — Toronto, Montreal and Vancouver — are now home to more than one-third of all Canadians with a combined population of 12.5 million, with almost one half living in Toronto and its suburban neighbours, the data shows. 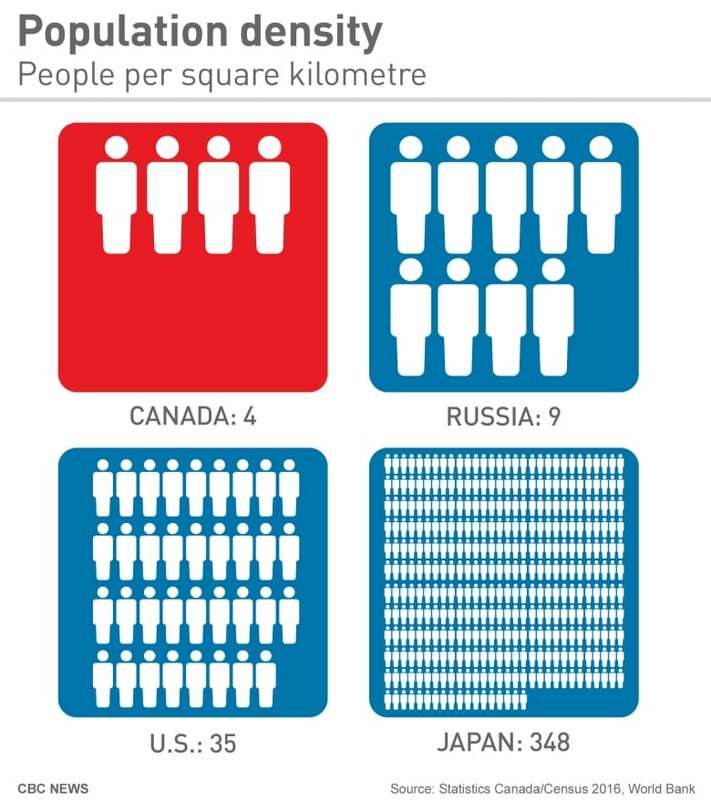 "The municipalities located on the edge of the (census metropolitan areas) are growing faster than the municipalities located (in the centre) of the census metropolitan area," said Laurent Martel, director of the demography division at Statistics Canada. "Also the rural areas located outside the census metropolitan areas, but close to them, are also growing faster than rural areas much farther away, so that's also a sign of an urban spread phenomenon." "Demographers call cities population sinks for a reason," Haan said. "Imagine you had all sorts of water on a counter and it all just runs into the sink and it never comes out again." "If we have a whole bunch of really young population, now we know that they're going to start to age in our communities," said Eleanor Mohammed, president of the Canadian Institute of Planners, and chief planner in Beaumont, Alta., which grew at a rate of 31 per cent between 2011 and 2016. "So, if your community is really suburban, how do you create more density and a different built form that can help people age in place in the community they're in right now so that they don't feel they have to move somewhere else?" 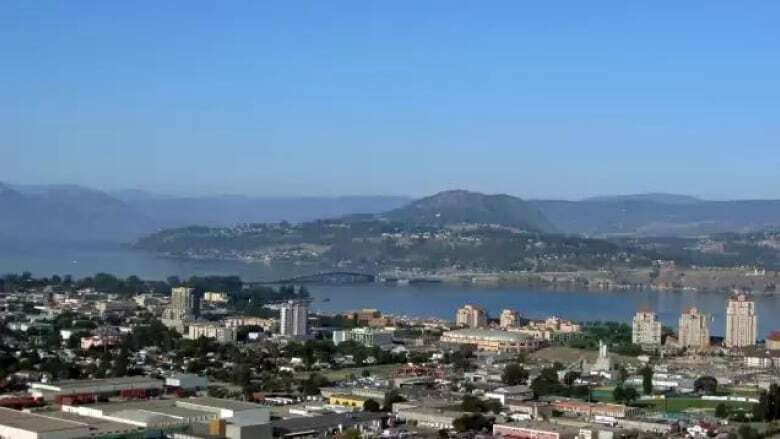 In Kelowna, officials are encouraging people to live in areas that are already built out, as opposed to pushing the boundaries of the community further and further with new subdivisions. 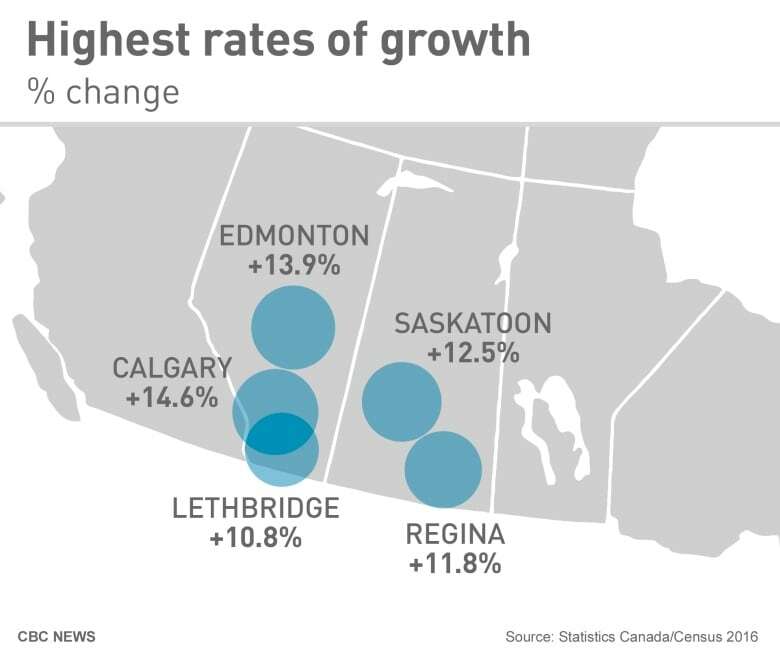 The city's growth rate over the last five years was 8.4 per cent — the sixth highest among metropolitan areas in the nation — pushing its population to 194,882, the census found. "What we're trying to do, as many communities are, is really trying to stop or limit sprawl and densify the areas that we already have because we know infrastructure is expensive," Basran said. 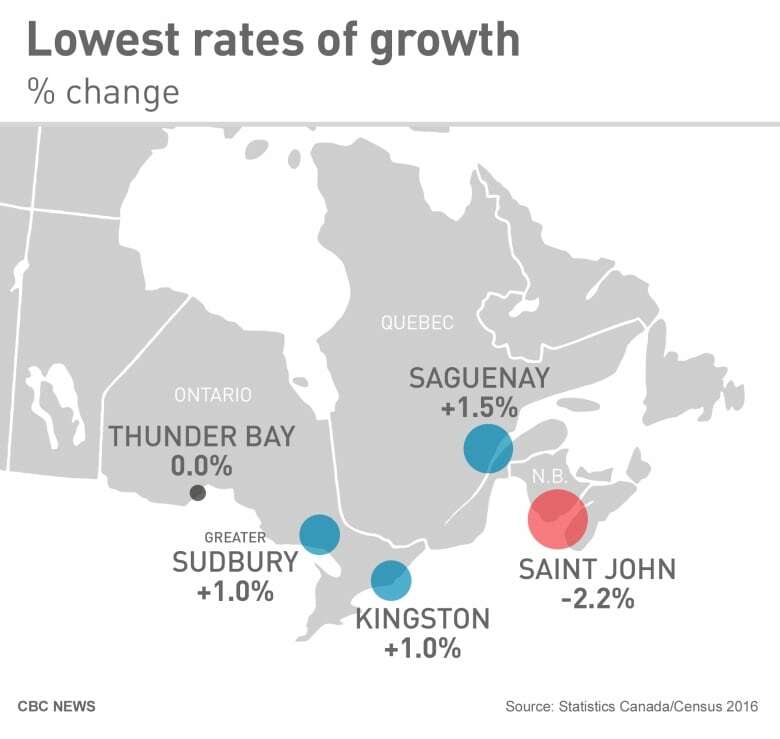 Saint John, N.B., was one of only two metropolitan regions across Canada that saw a drop between 2011 and 2016 — from 70,065 to 67,575 — mirroring a larger provincial trend. New Brunswick's population declined by 0.5 per cent, the only province to post negative growth since 2006.